This is a British Royal Artillery 25-pounder The name refers to the weight of the shell. The 25-pounder saw action with British, Canadian and Australian forces, and many other commonwealth units. The gun had a wheel that could be mounted underneath to facilitate revolution and aiming. 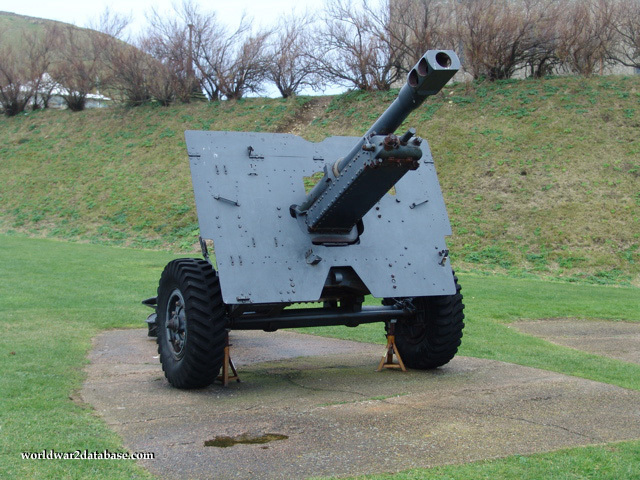 Dover Castle has demonstrations of firing a 25-pounder that knock off stuff from the walls of the secret wartime tunnels 85 feet below. I wonder what it was like with 15" guns going off and aircraft dropping bombs? I hope I never find out.